With the development of new (endogenaus) growth theories, it is observed that the major role in these theories had been given to human capital. Although offical or non-offical education indicators are the main indicators which represent human capital, the indicators about the health level of a society also appear in growth models as an element which feeds human capital and contributes its development. The literature which discuss the relation between economic growth and human capital could not come to a consensus about the relation between the variables which represent human capital and economic growth indicators. There are studies, in the literature, which support one-way or mutual causality relations regarding the direction of the causality. Hence, it is necessary to conduct predictions by using larger data sets and new econometric models. This study predicts the relationship between human capital and economic growth by using Emirmahmutoglu and Kose (2011) approach, which is one of the new generation panel causality tests, for the four different country groups by income levels which is classified by the World Bank for the period of 1995-2014. We used personal healthcare expenditures, total healthcare expenditures, private healthcare expenditures and public healthcare expenditures as human capital indicators, and personal income as economic growth indicator. The results obtained, according to the country groups, point to two-way causality relation between variables. Yeni (içsel) büyüme teorileri ortaya konulduktan sonra, bu teorilerde yer alan baskın rolün beşeri sermaye değişkenine verildiği görülmektedir. Beşeri sermayeyi temsil edebilecek asıl göstergeyi resmi ya da resmi olmayan eğitim göstergeleri oluştursa da toplumun sağlık düzeyi ile ilgili göstergeler de beşeri sermayeyi besleyen ve gelişmesine katkı yapan bir unsur olarak büyüme modellerinde yer almaktadır. Ekonomik büyüme ve beşeri sermaye ilişkisini tartışan literatürde, beşeri sermayeyi temsil edebilen değişkenlerle ekonomik büyüme göstergeleri arasındaki ilişki üzerine bir konsesüse varılamadığı anlaşılmaktadır. Literatürde, nedenselliğin yönü ile ilgili olarak tek yönlü ya da karşılıklı nedensellik ilişkilerini destekleyen çalışmalara rastlanılmaktadır. Bu nedenle daha geniş data setiyle ve yeni ekonometrik yöntemler kullanılarak tahminler yapmak gerekmektedir. Bu çalışma sözü edilen gerekçelerle beşeri sermaye ile ekonomik büyüme ilişkisini, yeni nesil panel nedensellik testlerinden biri olan Emirmahmutoğlu ve Köse (2011) yaklaşımı ve Dünya Bankasının ülkeleri gelirlerine göre sınıflandırdığı dört farklı ülke grubu için 1995-2014 verilerini kullanarak tahmin etmektedir. Beşeri sermaye göstergesi olarak, kişi başına sağlık harcamaları; toplam sağlık harcamaları, özel sağlık harcamaları ve kamu sağlık harcamaları kullanılırken, ekonomik büyüme göstergesi olarak da kişi başına gelir değişkeni tercih edilmiştir. Ülke gruplarına göre elde edilen sonuçlar değişkenler arasında çift yönlü nedensellik ilişkisine işaret etmektedir. Antonio, J. ve Zamora, C. (2000). Investment in Health and Economic Growth: a Perspective From Latin America and the Caribbean. XXXV Meeting of The Advisory Committe on Health Research, Havana, Cuba, 17-19 July, Division of Health and Human Development, Washington, DC. Ashgar, N., Awan, A. ve Rehman, H. (2012). Human Capital and Economic Growth in Pakistan: A Cointegration and Causality Analysis. 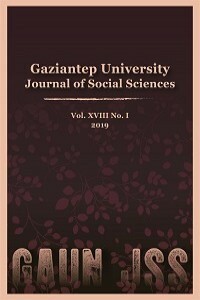 İnternational Journal of Economics and Finance, 4(4), 135-147. Atasever, M. (2014). Türkiye’de Sağlık Hizmetlerinin Finansmanı ve Sağlık Harcamalarının Analizi 2002-2013 Dönemi. Bakanlık Yayın No: 983, Ankara. Aydemir, C. ve Baylan, S. (2015). Sağlık Harcamaları ve Ekonomik Büyüme İlişkisi: Türkiye Üzerine Bir Uygulama. Dicle Üniversitesi Sosyal Bilimler Enstitüsü Dergisi, (DÜSBED) ISSN: 1308-6219, 13, 417-435. Badri, A. K. ve Badri, S. K. (2016). Health Spending and Economic Growth in Selected OECD Countries. AIS (American Institute of Science), American Journal of Clinical Neurology and Neurosurgery, 2 (1), 5-9. Bakış, O., Jobert, T. ve Tuncer, R. (2008). Kamu Harcamaları ve Büyüme, Zaman Serileri Analizi. Ed. Kamu Harcamalarının Bileşiminin Büyüme ve Refah Etkileri, Bahçeşehir Üniversitesi Ekonomik ve Toplumsal Araştırmalar Merkezi (betam), 81-104. Baltagi, B. H. ve Moscone, F. (2010). Health Care Expenditure and Incame İn The OECD Reconsidered: Evidence From Panel Data. Discussion Paper, No:4851, March, IZA, P.O. Box 7240, 53072, Bonn, Germany, 1-22. Barro, R. J. (1990). Government Spending in a Simple Model of Endogenous Growth. Journal of Political Economy, 98 (5), Part: 2, (October), 103-125. Beraldo, S., Montolio, D. ve Turati, G. (2009). Healthy, Educated and Wealthy: A Primer on the Impact of Public and Private Welfare Expenditures on Economic Growth. The Journal of Socio-Economics, 38, 946-956. Bedir, S. (2016). Healthcare Expenditure and Economic Growth in Developing Countries. Advances in Economics and Business, 4 (2), 76-86. Bloom, D. E., Canning, D., Sevilla, J. (2001). The Effect of Health on Economic Growth: Theory and Evidence. National Bureau of Economic Research Working Paper, No: 8587, 1-26. Bloom, D. E., Canning, D. ve Sevilla, J. (2004). The Effect of Health on Economic Growth: A Production Function Approach. World Development, 32 (1), 1-13. Breitung, J. (2005). A Parametric Approach To The Estimation Of Cointegration Vectors In Panel Data. Econometric Reviews, 24, 151-173. Breusch, T. S. ve Pagan, A. R. (1980). The Lagrange Multiplier Test And Its Applications To Model Specification In Econometrics. The Review of Economic Studies, 47 (1), 239-253. Cebeci, E. ve Ay, A. (2016). The Effeccts of Health Expenditures on Economic Growth: A Panel Regression Analysis on Brıcs Countries and Turkey. Sosyal Bilimler Dergisi Özel Sayı, Kasım, 91-102. Çetin, M. ve Ecevit, E. (2010). Sağlık Harcamalarının Ekonomik Büyüme Üzerine Etkisi: OECD Ülkeleri Üzerine Bir Panel Regresyon Analizi. Doğuş Üniversitesi Dergisi, 11(5), 166-182. Ding, H. (2012). Economic Growth and Welfare State: A Debate of Econometrics. Munich Personal RePEc Archive (MPRA) Papers, No. 39685, 1-32. Dreger, C. ve Reimers H. E. (2005). Health care expenditures in OECD countries: a panel unit root and cointegration analysis. IZA Discussion Paper, 1469, 1-20. Dumitrescu, E. I. ve Hurlin, C. (2012). Testing For Granger Non-Causality In Heterogeneous Panels. Economic Modelling, 29(4), 1450-1460. Elmi, M. Z. ve Sadeghi, S. (2012). Health Care Expenditures and Economic Growth in Developing Countries: Panel Co-Integration and Causality. Middle-East Journal of Scientific Research, 12 (1), 88-91. Emirmahmutoğlu, F. (2011). Gelişmekte Olan Ülkelerde Para Krizlerinin Ekonometrik Analizi, Gazi Üniversitesi Sosyal Bilimler Enstitüsü Ekonometri Anabilim Dalı, Yayınlanmamış Doktora Tezi, Ankara. Emirmahmutoğlu, F. ve Köse, N. (2011). Testing For Granger Causality In Heterogeneous Mixed Panels. Economic Modelling, 28, 870-876. Fisher, R. A. (1932). Statistical Methods for Research Workers, Oliver and Boyd, Edinburgh, 4th edition. Foon Tang, C. (2011). Multivariate Granger Causality and the Dynamic Relationship Between Health Care Spanding, Income and Relative Price of Health Care in Malaysia. Hitotsubashi Journal of Economics, 52, 199-214. Gerdtham, U. G. ve Löthgren, M. (2002). New Panel Results on Cointegration of International Health Expenditure and GDP. Applied Economics, 34, 1679-1686. Granger, C. W. J. (1969). Investigating Causal Relations by Econometric Models: Cross Spectral Methods. Econometrica, 37, 424-438. Granger, C. W. J. (2003). Some Aspects Of Causal Relationships. Journal of Econometrics, 112, 69-71. Grosman, M. (1972). On The Concept Of Health Capital And The Demand For Health. Journal of Political Economy, 80(2), 223-55. Gyimah-Brempong, K. ve Wilson, M. (2004). Health Human Capital and Economic Growth in Sub-Saharan African and OECD Countries. The Quarterly Review of Economics and Finance, 44(2), 296-320. Hartwig, J. (2010). Is Health Capital Formation Good for Long-term Economic Growth?-Panel Granger-causality Evidence for OECD Countries. Journal of Macroeconomics, 32, 314-325. Hayaloğlu, P. ve Bal, H. Ç. (2015). Üst Orta Gelirli Ülkelerde Sağlık Harcamaları ve Ekonomik Büyüme İlişkisi. İşletme ve İktisat Çalışmaları Dergisi, 3(2), 35-44. Hayran, O. (1998). Sağlık Hizmetleri, Sağlık Hizmetleri El Kitabı (Editör: Osman HAYRAN ve Haydar SUR). Yüce Yayım, Çevik Matbaası, Nobel Tıp Kitapevleri, 15-32, 450 s.
Heshmati, A. (2001). On The Causality Between Gdp And Health Care Expenditure In Augmented Solow Growth Model. SSE/EFI Working Paper Series İn Economics And Finance, No:423, 1-19, January. Kibritçioğlu, A. (1998). İktisadi Büyümenin Belirleyicileri ve Yeni Büyüme Modellerinde Beşeri Sermayenin yeri. Ankara Üniversitesi SBF Dergisi, 53(1), 207-230. Konya, L. (2006). Exports And Growth: Granger Causality Aanalysis On OECD Countries With A Panel Data Approach. Economic Modelling, 23, 978-992. Koying, C. ve Young-Hsiang, Y. (2006). Economic Growth, Human Capital Investment, And Health Expenditure: A Study Of OECD Countries. Hitotsubashi Journal Of Economics, 47(1), 1-16. Köksal, S. S., Sipahioğlu, N. T., Yurtsever, E. ve Vehid, S. (2016). Temel Sağlık Düzeyi Göstergeleri Açısından Türkiye ve Avrupa Birliği Ülkeleri. TJFM&PC (Turkish Journal of Family Medicine and Primary Care), 10(4), December, 205-212. Lucas, E. R. (1988). On The Mechanics of Economic Development. Journal of Monetary Economics, 22(1), 3-42. Luintel, K. B. ve Khan, M. (2004). Are International R&D Spillovers Costly For The US?. The Review of Economics and Statistics, 86(4), 896-910. Luintel, K. B. ve Khan, M. (2009). Heterogeneous Ideas Production And Endogenous Growth: An Empirical Investigation. Canadian Journal of Economics, 42(3), 1176-1205. Lutkepolhl, H. K. M. (2004). Applied Time Series Econometrics. Cambridge University Press. Cambridge. Majdi, M. (2014). The Relationship Between Efficiency of Healthcare Costs and Economic Growth: Empirical Validation from Mediterranean Countries. Management Studies and Economic Systems (MSES), 1 (1), 1-13. Mayer, D. (2001). The Long-Term Impact of Health on Economic Growth in Latin America. World Development, 29, (6), 1025-1033. Mohammadi, T., Maleki, B. ve Gashti, H. P. (2012). The Effect of Government Expenditure Composition on Economic Growth: Evidence on ECO Countries. Economics and Finance Review, 2 (5), 14-21. Mehrara, M. ve Musal, M. (2011). Granger Causality Between Health and Economic Growth in Oil Exporting Countries. Interdisciplinary Journal of Research in Business, 1(8), 103-108. Mehrara, M., Fazeli, A. A., Fazeli, A. A. ve Fazeli, A. R. (2012). The Relationship Between Health Expenditures and Economic Growth in Middle East - North Africa (MENA) Countries. Int. J. Buss. Mgt. Eco. Res, 3(1), 425-428. Narayan, S., Narayan, P. K. ve Mishra, S. (2010). Investigating The Relationship Between Health and Economic Growth: Empirical Evidence from A Panel of 5 Asian Countries. Journal of Asian Economics, 21, 401-411. Newhose, J. (1977). Medical Care Expenditure: A Cross National Survey. Journal of Human Resources, 12(1), 115-125. Nyamwange, M. (2012). Economic Growth and Public Healthcare Expenditure in Kenya (1982 - 2012), MPRA Munich Personal RePEc Archive, MPRA Paper No: 43707. Okunade, A. A. ve Karakuş, M. C. (2001). Unit Root and Cointegration Tests: Time Series Versus Panel Estimates for International Health Expenditure Models. Applied Economics, 33, 1131-1137. Pesaran, M. H. (2004). General Diagnostic Tests For Cross Section Dependence In Panels. Cambridge Working Papers in Economics, No:0435, Faculty of Economics, University of Cambridge. Pesaran, M. H. (2006). Estimation And Inference In Large Heterogeneous Panels With Multifactor Error Structure. Econometrica, 74, 967-1012. Pesaran, M. H. ve Smith, R. P. (1995). Estimating Long-Run Relationships From Dynamic Heterogeneous Panels. Journal of Econometrics, 68, 79-113. Pesaran, M. H., Ullah, A. ve Yamagata, T. (2008). A Bias-Adjusted LM Test Of Error Cross-Section Independence. Econometrics Journal, 11105-127. Pesaran, M. H. ve Yamagata, T. (2008). Testing Slope Homogeneity In Large Panels. Journal of Econometrics, 142, 50-93. Pesaran, M. H., Shin, Y. ve Smith, R. P. (1999). Pooled Mean Group Estimation Of Dynamic Heterogenous Panels. Journal of the American Statistical Association, 94 (446), 621-634. Piabuo, S. M. ve Tieguhong, J. C. (2017). Health Expenditure and Economic Growth - a Review of The Literature And an Analysis Between the Economic Community for Central African States (CEMAC) And Selected African Countries. Health Economics Review, 7(23). Pradhan, R. P. (2011). Effects of health spending on economic growth: A time series approach. Decision, 38(2), 68-83, August. Rhee, H. J. (2014). Effects of Healthcare Expenditure on National Income: A Rational Expectation Approach. Advanced Science and Technology Letters, 70, 19-23. Romer, P. M. (1986). Increasing Returns and Long Run Growth. Journal of Political Economy, 94 (5), 1002-1037. Sab, R. ve Smith, S. C. (2001). Human Capital Convergence: International Evidence. IMF Working Paper, 32, 1-33. Sağlık Bakanlığı. (2006). Türkiye Ulusal Sağlık Hesapları Hane Halkı Sağlık Harcamaları 2002-2003. TC Sağlık Bakanlığı Refik Saydam Hıfzıssıhha Merkezi Başkanlığı Hıfzıssıhha Mektebi Müdürlüğü, Ankara. Sala-i Martin, X. (1990). Lecture Notes on Economic Growth (I): Introduction to the Literature and Neo-Classical Models. NBER Working paper, 3563. Saraçoğlu, S. ve Songur, M. (2017). Sağlık Harcamaları ve Ekonomik Büyüme İlişkisi: Avrasya Ülkeleri Örneği. Kafkas Üniversitesi İktisadi ve İdari Bilimler Fakültesi Dergisi, 8 (16), 353-372. Selim, S., Uysal, D. ve Eryiğit, P. (2014). Türkiye’de Sağlık Harcamalarının Ekonomik Büyüme Üzerindeki Etkisinin Ekonometrik Analizi. Niğde Üniversitesi İktisadi ve İdari Bilimler Fakültesi Dergisi, 7(3), 13-24. Toda, H. Y. ve Yamamato, T. (1995). Statistical Inference in Vector Autoregressions With Possibly Integrated Processes, Journal of Econometrics, 66, 225-250. Topallı, N. (2016). G20 Ülkelerinde İhracat, Beşeri Sermaye Ve Ekonomik Büyüme İlişkisi: Panel Nedensellik Analizi. Akademik Sosyal Araştırmalar Dergisi, 4 (29), 193-206. Wang, K-M. (2011). Health Care Expenditure and Economic Growth: Quantile panel-Type Analys, Economic Modelling, 28, 1536-1549. Woodhall, M. (1987). Human Capital Concepts. (Edited by George PSACHAROPOULOS), Economics of Education Research and Studies, Advanges in Education, Pergamon Pres, The World Bank, Washington, DC, USA. World Health Statistics. (2015). World Health Statistics 2015. World Health Organization. Yardımcıoğlu, F. (2012). OECD Ülkelerinde Sağlık ve Ekonomik Büyüme İlişkisinin Ekonometrik Bir İncelemesi. Eskişehir Osmangazi Üniversitesi Sosyal Bilimler Dergisi, 13 (2), 27-47. Xu, K., Saksena, P. ve Holly, A. (2011). The Determinants of Health Expenditure: A Country-Level Panel Data Analysis. A Working Paper of the Results for Development Institute (R4D), World Health Organization, December. Zellner, A. (1962). An Efficient Method Of Estimating Seemingly Unrelated Regression Equations And Tests Of Aggregation Bias. Journal of the American Statistical Association, 57, 500-509.